Every month, Snapclarity will host a Question and Answer session, where you will be able to have your questions answered. The date and time will be announced by email and on the Slack channel a few days before. The Q&A sessions will usually be on a live video conferencing platform. Joining this platform will connect you to a Snapclarity representative and will allow you to ask questions through live chat or audio. How do I join the Q&A session? A link to the Q&A session will be provided in the email and Slack message that you will receive. The Snapclarity representative will only be on the platform at the time of the Q&A, but feel free to click on the link and look at the different features it offers*. 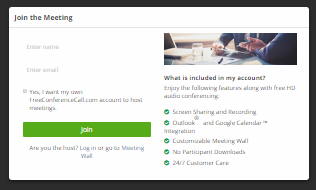 *We recommend using the Chrome™ web browser for full participant functionality, including VoIP audio, video and viewing screen sharing with chat. Opening the link in a browser will launch the platform's Web Viewer. On the pop-up window that follows, enter your name and email address and click "Join". 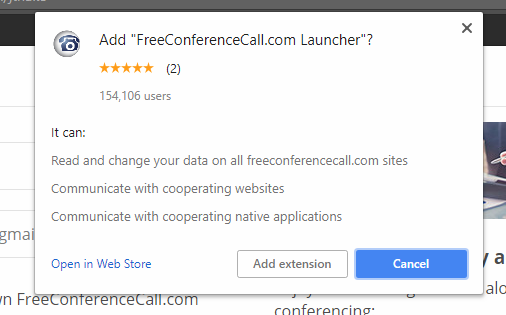 After clicking "Join", a popup will appear asking you to add the platform's extension. Click "Add extension" to successfully join the session. Once you joined the session, you will see a dashboard with a few options. It is important to click on the Phone icon and to set up your microphone/speakers. You will not be able to hear the Snapclarity representative and talk if you do not set your audio preferences. Please note that you can mute and unmute your microphone at anytime using the microphone icon. The camera icon : Turn your webcam on/off. The chat icon : Send messages privately to the Snapclarity representative or to all participants. The gear icon : Change your settings.